Your vehicle is your baby, but…accidents happen! 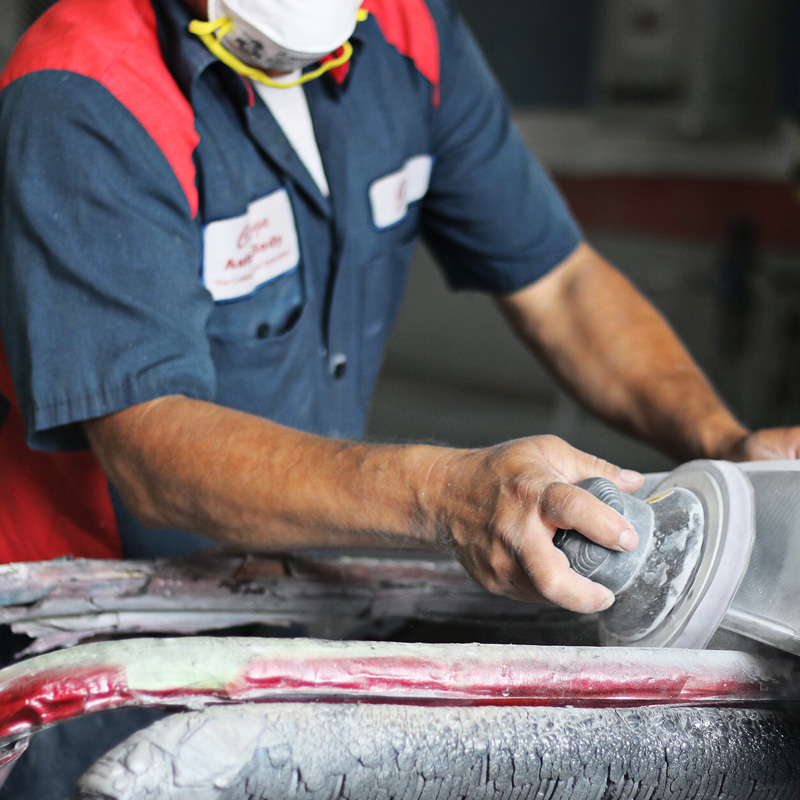 From small scratches or scrapes—or maybe a dent that doesn’t even blemish the paint—to a major collision that requires structural repairs, Canoga Auto Body expertly fixes any paint/body damage. Whether it’s a modest retouch that you’re funding yourself or an insurance claim that needs expert restoration. We make the process fast, easy, and cost-effective. If you’ve been involved in an automobile accident, first determine if your car is safe to drive. Never operate an unsafe motor vehicle! Canoga Auto Body can assist you with towing your vehicle to our repair facility, if necessary. 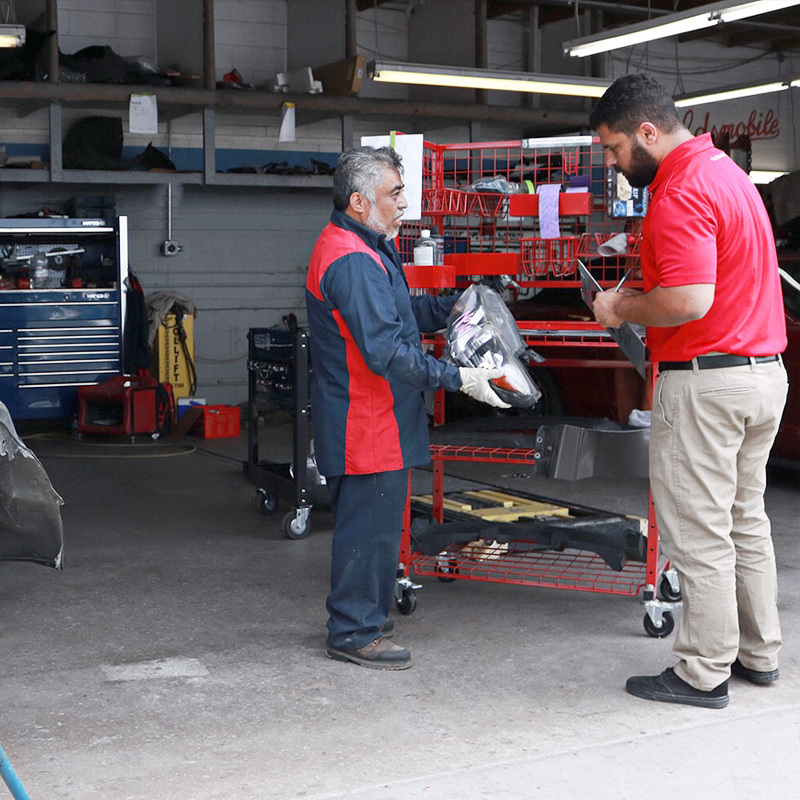 At Canoga Auto Body, we work with you to understand your needs and get the job done right for you. You are not required by law to obtain more than one estimate. It’s common, however, to see some differences between estimates. Our advice? Don’t just look at the total amount, consider what’s included for the price quoted. Canoga Auto Body is happy to explain any difference to you so you know exactly what services you’re getting. All collision repairs are performed by highly trained technicians with over 100 years combined experience. State-of-the-art equipment, featuring “Down Draft” and “Final Bake” spray booths. Technology that will ensure the highest quality repair! Our friendly staff members have years of experience and established relationships with insurers. We work with you, helping you throughout the claims process to get the vehicle you love back on the road in pre-loss condition. We spray Glasurit 90 Line finishes from BASF. An award-winning market leader in automotive refinishing, it offers superior durability, long-lasting shine, and low solvent content to safeguard the environment. Canoga Auto Body offers premium-quality auto body collision repair at affordable prices to northern Los Angeles, the San Fernando Valley, Simi Valley, and the surrounding areas. We’re independently owned and operated by Kyle Daley and Craig Dillmann—not some giant, faceless corporation. And we’re proud of our 30-year reputation for honest, detail-oriented, first-class auto body repair work. Since founding Canoga Auto Body in 1988, Craig has been rescuing and lovingly refurbishing automobile- and service station-related antiques. Stop in and see his museum-quality collection that now fills our offices. You’ll get a taste of the rich history of Southern California’s culture, and Craig’s handiwork serves as an excellent example of the skill and loving attention to detail that infuse our work. While exemplary results are crucial, the customer experience is just as important. Our dedicated office and shop staff of 25 have the experience and the tools to work with your insurer to process any claim and complete any repair. Canoga Auto Body is a “direct repair shop” for many major auto insurance providers (including Farmers Insurance, Mercury Insurance, and 21st Century Insurance), and we are a AAA Approved Collision Repair Facility. Canoga Auto Body is fully equipped to handle any auto body repair job, from a cosmetic touch-up or lease return fix to full heavy collision, unibody/frame, suspension alignment, repair, and replacement. 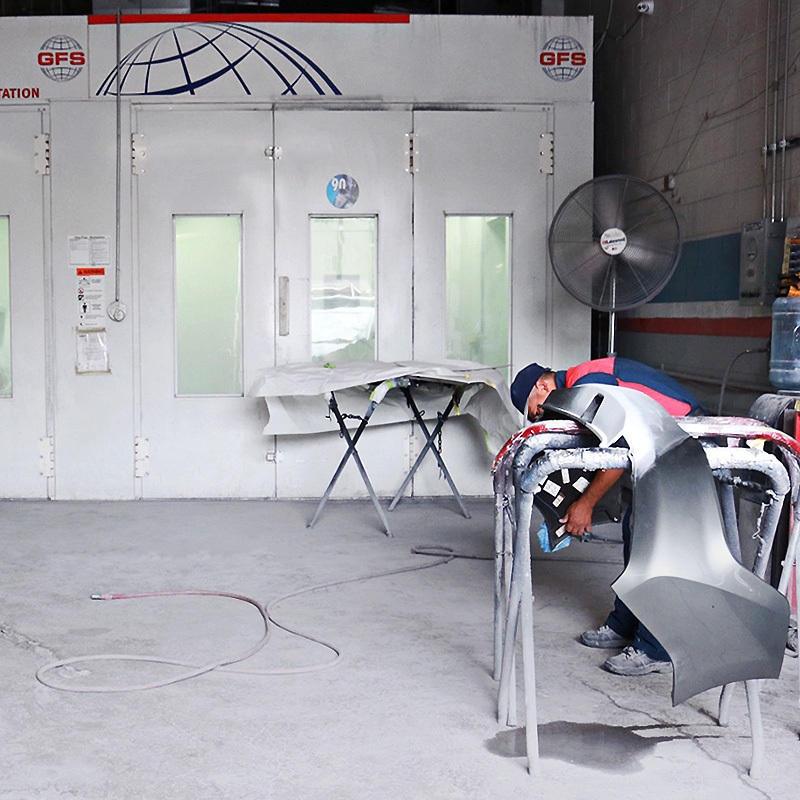 With Canoga Auto Body, you’ll enjoy flawless results, helpful service, and an effortless experience every time. Let Canoga Auto Body assist you with your insurance claim. We work with any/all insurance companies. The more we can do for you, the less you have to deal with. We not only restore your vehicle to pre-loss condition, we handle your insurance claim from start to finish. Let our collision repair specialists guide you through the repair process so you can focus on what really matters. You’ll love the results and appreciate our limited lifetime warranty—we guarantee it! Ask trustworthy family and friends for their auto body repair shop recommendations. Or check Yelp for community references and discover what our happy customers have to say and why we have such satisfied clients. If you are looking for an honest shop with great customer service and a no nonsense approach, then look no further. I highly recommend this agency and would like to give a special thank you to Kyle. Keep up the good work everybody!!! This place is honest and does a great job on auto body repair. 10 Stars for them. I have a BMW and anything from dents to scratches Craig is my go to man. Highly recommend this place of business if you want quality and honest! Outstanding place!! They fixed my car so it looked new! They went above and beyond what they needed to do. Danny was my service person and was awesome as well. I would recommend this shop to others! Thanks Canoga Auto Body and Danny for your outstanding work! Many major insurance providers offer a “direct repair” option, where they work in close partnership with the auto body collision repair shop of your choice. Our experienced staff have the expertise to handle all aspects of the collision and auto body repair process. From your free estimate for auto body repair and coordination of inspection to insurance claim processing and final repair, we strive to be of assistance every step of the way. Before you agree to anything, discuss your options with Canoga Auto Body. Insurance companies have a right to look at your vehicle. But only you get to decide which auto body shop is going to restore your vehicle to pre-loss condition. Determine where and when you want your vehicle repaired. Because waiting too long can increase the risk of further damage to your vehicle. It’s important that you get yours into a quality auto body repair shop before things get worse. Site Design by Justin B Miller. Copyright Canoga Auto Body 2019. All Rights Reserved.